Illustration is from the 1899 book "Birds and Nature". Courtesy of Wikimedia Commons. Rooted in the folklore of the Pennsylvania Dutch, Groundhog Day has evolved into a playful holiday during which we entrust a small woodland rodent to predict the coming of spring. While meteorologists do not consider groundhogs to provide the most scientifically sound weather reports, this hasn’t stopped communities across the United States and Canada from gathering annually around holes in the ground to wait for the furry creatures to emerge. In 1993, upon the release of the film “Groundhog Day,” starring Bill Murray and written/directed by Harold Ramis, “groundhog day” entered pop culture as a phrase implying when something repeats many times. In the film, Murray’s character (a disgruntled weatherman), inexplicably gets stuck living the same day, February 2nd. Every morning, he wakes up to Sonny and Cher’s “I Got You Babe,” but perhaps more fitting would have been if the radio had played one of Folkways’ many renditions of the classic American folk song, “Ground Hog,” which tells the story of a group of hunters attempting to capture the eponymous animal. (In fact, the song itself is not unlike a different film starring Bill Murray, which features one of the groundhog’s crafty cousins.) 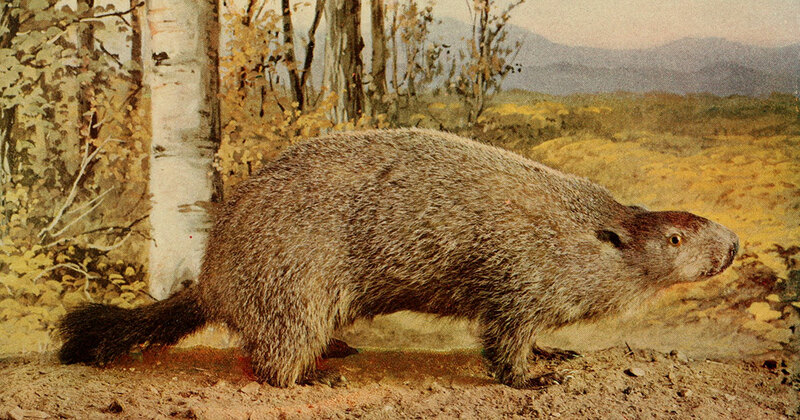 With its origins in southern Appalachia, “Ground Hog” is a widely known tune among musicians, and has been recorded by artists from North Carolina, Tennessee, Kentucky, Georgia, and even as far west as Texas and California—giving folks the opportunity to play it over and over (and over) again.